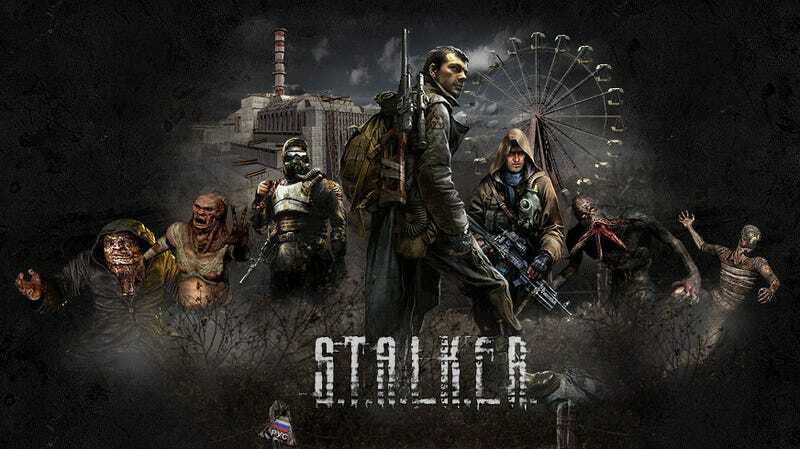 In April, we fielded a rather confusing rumor that involved game developer Sergei Girgorovich supposedly telling a Russian news outlet that he had sold the rights to his development team's acclaimed post-nuclear-apocalypse-horror-first-person-shooter series, S.T.A.L.K.E.R., to Bethesda, the people who brought us the acclaimed post-apocalyptic first-person role-playing game Fallout 3. But a Bethesda rep no-commented and the official S.T.A.L.K.E.R. Facebook page said that Girgorovich "has not sold the IP rights to anyone." Via PC gaming news experts Rock Paper Shotgun comes a report that the same blogger who called the cancellation of S.T.A.L.K.E.R. 2 now says Bethesda has nabbed the rights to the game series—though somehow without Girgorovich selling them the rights to the whole S.T.A.L.K.E.R. world (just giving them the ability to make S.T.A.L.K.E.R. games). What's Bethesda have to say about the rumor the second time over? "We don't comment on rumors or speculation," a rep told Kotaku today. And what about the S.T.A.L.K.E.R. Facebook page this time? This was posted there about an hour ago: "Attention Stalkers: I will get clarification on the "Bethesda purchasing the rights to Stalker" and let you all know as soon as possible!" Update: Deja vu... The person running the official S.T.A.L.K.E.R. Facebook page now says: "According to my sources the news that Bethesda purchased the Stalker rights is false. I will continue to keep a look out and if I hear anything new, you will all be the first to know!" QuakeCon, the official convention for id Software and Bethesda, starts this weekend. That would be a good time for this rumor to either be confirmed or debunked by one of the many Bethesda folks who will be at the show.